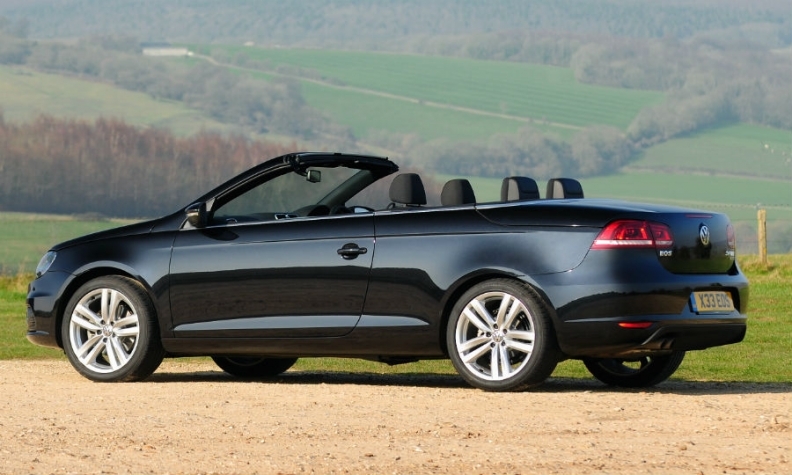 VW will begin recalling Eos models with rigged 2.0-liter diesel engines. FRANKFURT -- Volkswagen has received regulatory approval for technical fixes to its Passat, CC and Eos models, meaning the automaker can now recall more than 800,000 of the 8.5 million cars in Europe affected by its emissions scandal. Germany's motor vehicle authority KBA has approved the proposed fixes for the three models with 2.0-liter diesel engines from the EA 189 diesel engine family, VW said in a statement on Friday. VW has admitted that up to 11 million EA 189 engines sold worldwide have software manipulated to cheat emissions tests. The company began a European recall to make the rigged engines compliant with type approval law in January with the Amarok pickup truck. In April, VW began recalling 15,000 Golf TDI Blue Motion cars in Europe with 2.0-liter engines. The KBA had held up the recall of the Passat because it was concerned that VW's proposed fix would lead to an increase in fuel consumption. VW said on Friday that the regulators have confirmed that the fixes will not result in any changes to fuel consumption, performance or noise emissions of the vehicles. VW has said that software updates on the affected 1.2-liter, 1.6-liter and 2.0-liter vehicles, as well as hardware fixes for about a third of the 8.5 million cars, would be completed by the end of the year. Dealers have fixed only 50,000 diesel cars across the region since the start of the year, VW's sales chief Fred Kappler said last week. The company said it expected to receive the approval for further high-volume models with the affected 2.0-liter diesel engines in the near future. The launch of recalls of cars with 1.2-liter engines, initially planned for the second quarter, will however be delayed, VW said, without providing further details.